This attractive two-piece set is perfect for any time of the year. 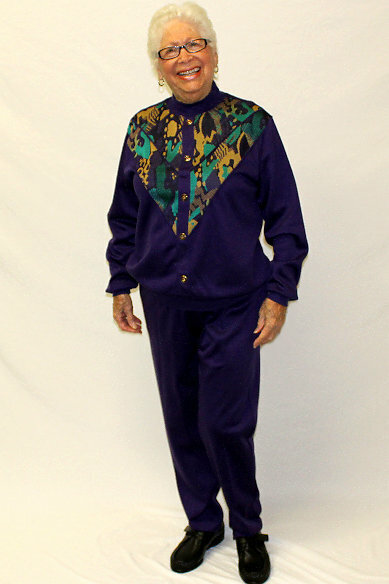 This durable acrylic, soft cotton / polyester knit or polyester blend set features a long sleeve top with elastic waist pants. Assorted solid and print tops with coordinating solid color pants.